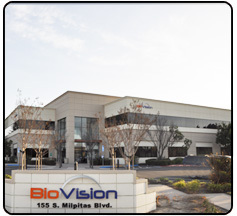 About Us | BioVision, Inc.
BioVision develops and offers a wide variety of products including assay kits, antibodies, recombinant proteins & enzymes, and other innovative research tools for studying Apoptosis, Metabolism, Cell Proliferation, Cellular Stress, Cell Damage and Repair, Diabetes, Obesity and Metabolic Syndrome, Stem Cell Biology, Gene Regulation, Signal Transduction, etc. 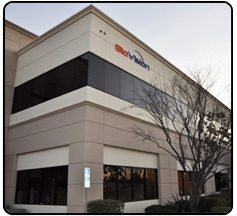 BioVision’s products are currently being sold in more than 60 countries worldwide. 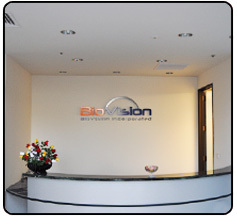 BioVision is well known in life science industry to provide research tools to scientists to expedite their research. (Business License). Please watch our video to get to know us better. Dont forget to visit our youtube channel for more videos. Enjoy! BioVision aims to provide innovative, high quality assay kits, recombinant proteins, antibodies and other research tools to accelerate drug discovery in disease-related areas like cancer, diabetes, obesity, Alzheimer's disease, etc. 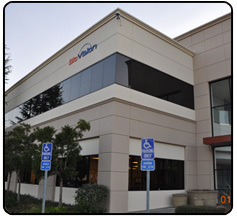 We would achieve these goals through a well-defined core strategy and a company culture that fosters integrity, openness, and collaboration, and rewards customer focus, innovation and ownership.